Although heel spurs often exist painlessly, they can cause heel pain and typically suggest there is some abnormality and underlying problem. 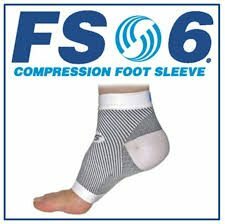 They are frequently associated with plantar fasciitis, a painful inflammation of the fibrous band of connective tissue (plantar fascia) that runs along the bottom of the foot and connects the heel bone to the ball of the foot. Treatments for heel spurs and associated conditions include exercise, strapping and splinting, custom-made orthotics, footwear advice, anti-inflammatory medications, shockwave therapy and injection therapy. 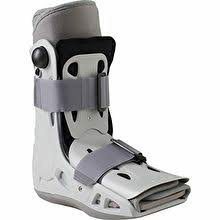 If conservative treatments fail, immobilisation using a Cam Walker boot and even surgery may be necessary. 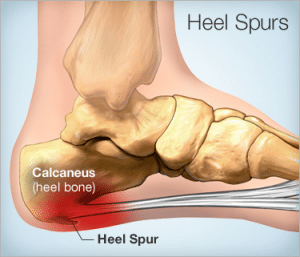 Heel spurs are often caused by constant strain on foot muscles and ligaments, stretching of the plantar fascia, and repeated strain and tearing of the membrane that covers the heel bone. Typically this is suggestive of abnormal biomechanics and or subsequent stress and overload. Heel spurs are especially common among people whose activities include large amounts of running and jumping. Poorly fitted or badly worn shoes, especially those lacking appropriate arch support such as thongs, flip flops, slippers and even bare feet. 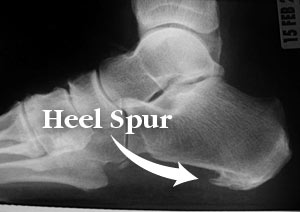 Heel spurs can be associated with intermittent or chronic pain — especially while walking, jogging, or running — if inflammation develops at the point of the spur formation. In general, the cause of the pain is not the heel spur itself but the soft-tissue injury associated with it. Maintaining a healthy weight to minimise the stress on the plantar fascia. Choosing supportive shoes. Avoiding stiletto heels and shoes with excessively low heels. Buying shoes with a low to moderate heel, good arch support and absorption. Not going barefoot, especially on hard surfaces. Not wearing worn-out runners. Replacing old runners before they stop supporting and cushioning the feet. If a sport involves a lot of running, replacing shoes after about 650 kilometres of use. Starting activity slowly. Warming up before starting any activity or sport, and starting a new exercise program slowly. 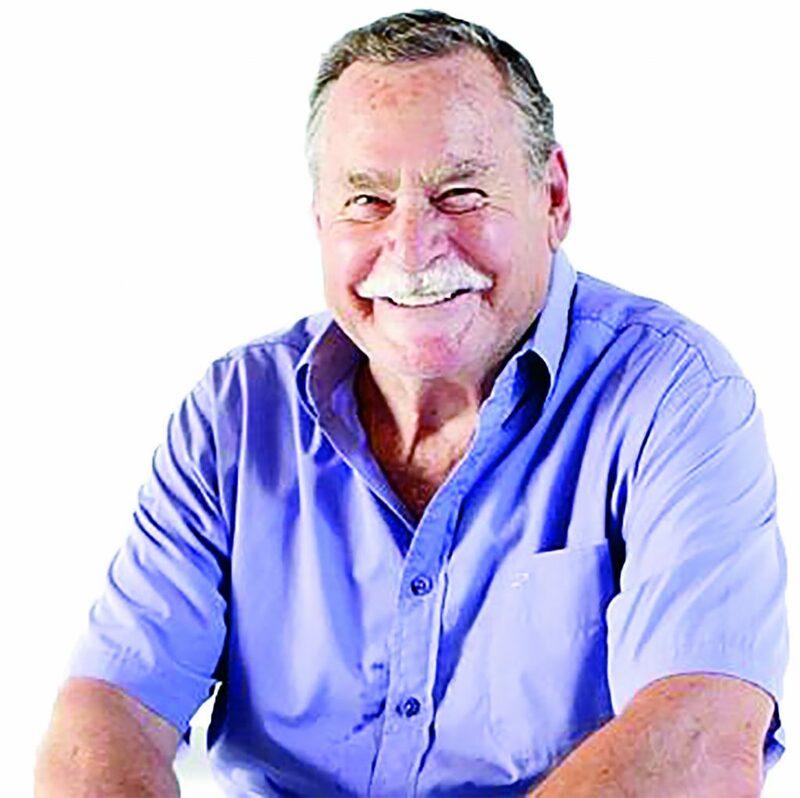 Avoid barefeet or unsupportive footwear such as slippers and thongs as much as possible. 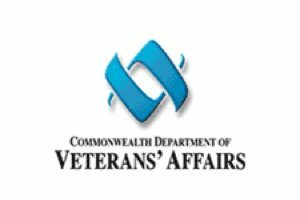 What range of treatment is available for Heel Spurs? Podiatry. Your Podiatrist can provide a range of aids and appliances to help with Plantar fasciitis as well as give instruction on a series of exercises to stretch the plantar fascia and Achilles tendon and to strengthen lower leg muscles, which stabilises the ankle and heel. Night splints and Cam Walkers (‘Moon Boots’). Your Podiatrist may recommend wearing a splint fitted to the calf and foot while sleeping. This holds the plantar fascia and Achilles tendon in a lengthened position overnight. Learn more at our dedicated CAM Walkers page. Orthotics. Your Podiatrist may prescribe off-the-shelf or custom-fitted arch supports (orthotics) to help distribute pressure to the feet more evenly, and to stimulate the small foot muscles. Having an accurate gait analysis and assessment is critical to obtaining best results from Custom Orthotic therapy. Shockwave Therapy is high intensity ultrasound waves delivered in a non-invasive way. These sound waves are delivered through a special hand piece to treat heel spurs, plantar fasciitis and Achilles tendon problems. Low Level Laser Therapy. LLLT uses light energy to stimulate cells, helping them to function optimally, which in turn encourages the healing process. Once the photons find the injured tissues, they stimulate and energise the cells to repair and strengthen at a remarkably fast rate. Collagen production is stimulated so the ligaments and tissues grow stronger than with normal healing. 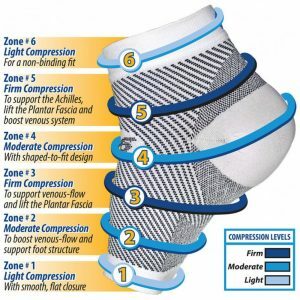 Compression & Support Socks: Your Podiatrist might consider the benefit of added support, compression, enhanced circulation and stability offered by a compression sock. Strapping. 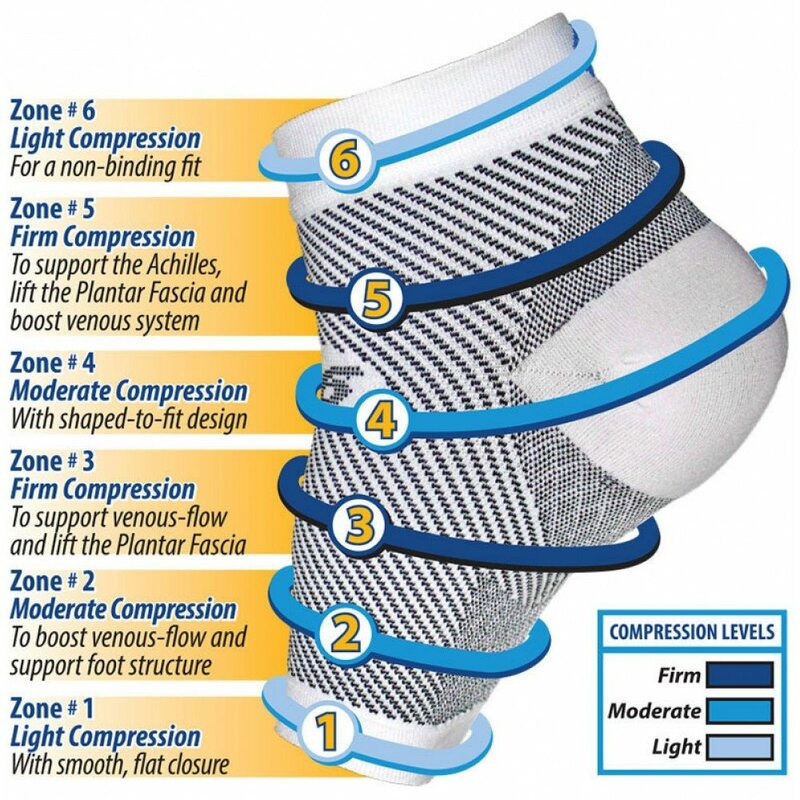 Often professional strapping applied by a Podiatrist provides immediate relief of symptoms from Plantar Fasciitis. 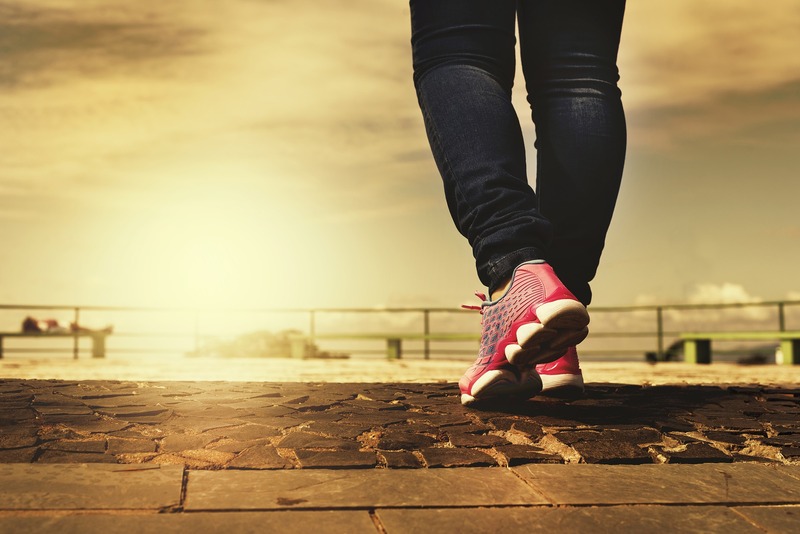 Often this is a good indicator of the benefit of more permanent and long term supportive measures, such as orthotics, for your feet in both alleviating the pain and preventing future problems and deterioration. Dry Needling. A fast, minimally invasive technique that appears to provide long-term relief from plantar fasciitis pain. See our dry needling page for more details. Medication, injection therapy and surgery. These measures are for the most persistent cases, and do not replace the need for the treatment methods detailed above. The latest technology used to treat heel pain is shockwave therapy. This treatment is now available at The Foot and Ankle Clinic. It is a gentle yet effective treatment for heel pain, reducing the tenderness of soft tissue injuries in just a few days. Shockwave therapy involves the application of high energy Extracorporeal Shockwave Therapy (ESWT) waves through the surface of the skin. Application of ESWT will then begin to accelerate the healing process. This will in turn dramatically reduce pain and promote healing. The body responds with increased metabolic activity at the site of the pain, stimulating and accelerating the healing process. At the Foot and Ankle Clinic our highly qualified team of Podiatrists are all members of the Australian Podiatry Association and offer a combined 50 years’ experience. They are trained to diagnose and effectively treat heel spurs via a range of proven treatments.